If you’ve been watching the news, then you know that there has been an unbelievable rise in influenza cases recently. Maybe that’s to be expected during flu season, but when a virus kills dozens of people, including children, and overflows emergency rooms at hospitals across the country, you’ve got an epidemic on your hands. Reportedly the only states that haven’t had widespread cases are Hawaii, Alaska and California, though that last one could be in jeopardy as all the technorati return to Silicon Valley and other places from that petri dish called CES. (Ever wonder if the reps swab down those demo devices before handing them out to the waiting press and other attendees? I hope so. Eeshk.) Our own editor-in-chief Sean Aune succumbed and had to be taken to a hospital in Las Vegas, thanks to the dreaded virus. At this point, the CDC believes that the scenario may have peaked, thanks in part to the holidays, when children gleefully stayed home instead of spreading the virus further at school. Even so, we’re not out of the woods quite yet. The three primary ways of catching the flu are being near sick people who sneeze, cough or talk; sharing a tainted drinking cup or utensil; and touching an infected surface and then rubbing your eyes or mouth. So with that in mind, here are a few fast tips on how to stay healthy during the outbreak. 1) Clean your gadgets, and don’t let anyone else use them. This is particularly important for cell phones or any other tech you put up to your face, but it also applies to that keyboard, office telephone dialpad and mouse/trackpad. If it’s an emergency and you have to let someone use your device, be sure to swab it down with a sanitizing wipe or cleaner. 3) Get a flu shot, if you haven’t already. While shots are only 62 percent effective, they’re the best defense we have. Unfortunately, many places are running out of vaccinations (as well as treatment drugs like Tamiflu), but you can look up places online and call ahead to check. Places like CVS have an online flu shot locator, or you can hit up the HealthMap Vaccine Finder here. 4) Stay home, if you can. If you have the type of job that allows you to work from home, take advantage of it. If you can reschedule a trip, strongly consider that. (Nothing’s worse than being sick on the road.) And if you have vacation days all piled up, there’s no better time than now to take a few days off. Besides, aren’t you looking for an excuse to play with your game console/new smartphone/streaming box anyway? 5) If you have an extremely high fever or are otherwise severely ill, do not ignore it. As mentioned, people have died from this strain of flu, so do not hesitate to go to the hospital if your temperature spikes to worrisome levels. There are plenty of accessories and gadgets that can read all sorts of vital signs, but a good old-fashioned thermometer will do. 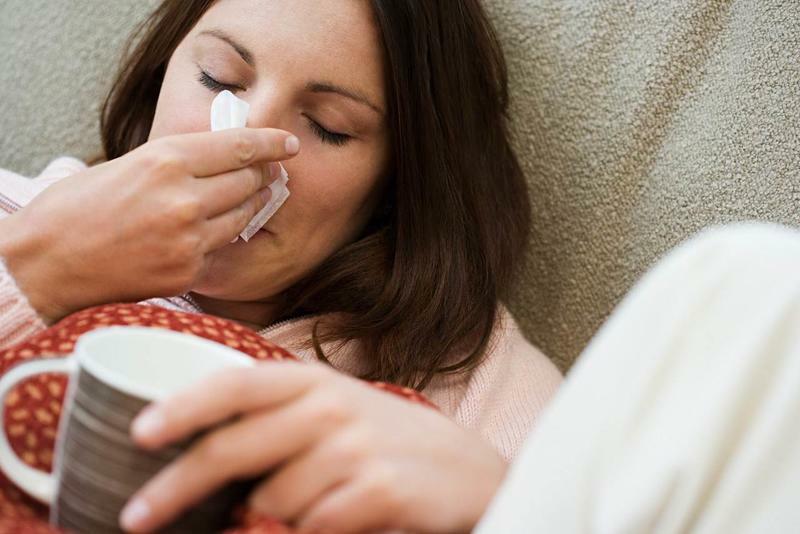 Not everyone with the flu has a fever, however, and not all have a serious case. So if you’re only mildly sick, stay put. Emergency rooms are inundated as it is, and a long wait (or even rejection) won’t make you feel any better. Got any other tips to survive this flu season? Share your advice in the comments below.